MOSCOW, February 4. /TASS/. 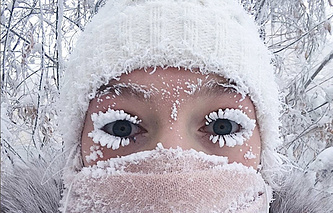 Siberia has seen a deep freeze since early February, with severe sub-zero temperatures plunging lower than minus 50 degrees. Forced holidays started in many schools where a regime of free attendance had been introduced before. Storm and emergency warnings were declared in some Siberian regions, and there were problems with aircraft and bus transportation, forecasters and first responders told TASS. A free attendance regime was introduced in schools in many Siberian regions, and forced holidays are starting in many educational institutions now. So, more than 5,200 students in the Novosibirsk Region were not taken to school number 201 due to the anomalous frosts. 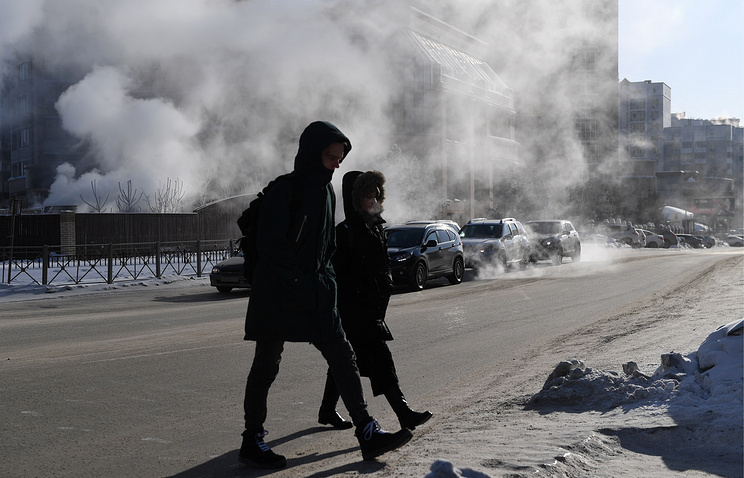 In Krasnoyarsk, where temperatures are expected to be about 18-20 degrees lower than the norm at the beginning of the month, also experienced the lowest school attendance. "There are about 40 people per school in average. The average lesson attendance is about 7% <...>. Attendance was the highest in Krasnoyarsk gymnasium number 2, with as many as 20% students present," the city department for education told TASS. Some buses and planes were delayed by the frosts. According to the online display panel at the Tomsk Airport, a plane operated by RusLine from Yekaterinburg to Tomsk will arrive about seven hours late. "The delay of the flight from Yekaterinburg (to Tomsk) was caused by meteorological conditions: the temperature is too low, and there is fog," an aide to the transport prosecutor of the Tomsk Region, Sergei Krivoshein, told TASS. Flights were also delayed in Krasnoyarsk, where 40-degree frosts were reported. Planes do not fly to the northern areas of the region: Severo-Yeniseisk, Igarka and Tura, the Krasnoyarsk Airport’s authorities reported. A plane operated by Aeroflot, which had flown from Moscow, could not land at Krasnoyarsk Airport on Monday and had to fly to an alternate airfield in Novosibirsk, where air temperatures are about minus 32-35 degrees and where tens of buses are daily cancelled. The Buryatia and Trans-Baikal Regions, which are located in Eastern Siberia, are preparing for freezing temperatures. Temperatures in the Buryatia Region, where a temperature of -4 degrees Celsius was reported in January, will plummet to lower than -40 degrees. A storm warning was declared in the Trans-Baikal Region, where a temperature of minus 52 degrees was forecasted, though the regional hydrometeorological center told TASS that severe frost in early February is a usual thing for the local climate.